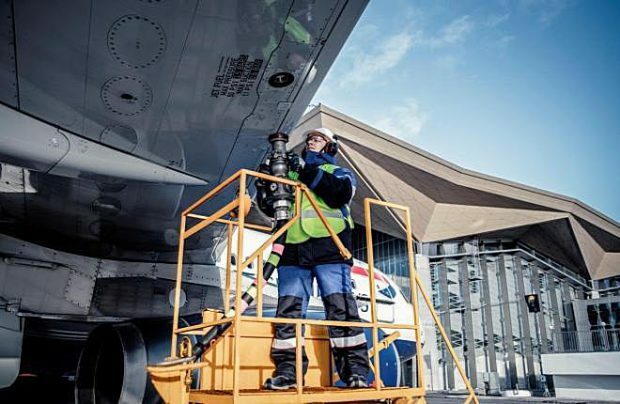 Gazpromneft-Aero, one of Russia’s foremost aviation jet fuel delivery specialists, is actively working on promoting the introduction of widespread blockchain-based Aviation Fuel Smart Contracts (AFSCs). The company expects to complete the further development of a working version of the technology to be offered to a number of customers by the end of 2019, according to a March 13 statement by Dmitry Korpachev, the head of Gazpromneft-Aero’s international sales department. Gazpromneft-Aero started developing the new smart technology in 2018. It enables instant payments for precise fuel immediately after the act of refuelling is finished whilst, at the same moment, automatically generating all accounting documents in digital form. A smart contract is an algorithm that remotely initiates and maintains the integrity of blockchain-based commercial contracts. The immediate result of a smart-contract initiation is discreetly signed-off by all blockchain parties, while the transaction history is stored in global cyber space. Only the nominated contracting parties have access to the encrypted information. The smart contract procedure is structured as follows: using a computer algorithm, an airline transfers information to Gazpromneft-Aero on the planned refuelling of an upcoming flight, fixing the initial fuel volume and its price. The data is then used to assign the technical task to a tanker driver at the airport. Both the tanker driver and the aircraft’s pilot have access to the smart contract while they exchange information via tablets with a secure login account. Thus, on the day of the refuelling, the driver confirms his arrival at the refuelling spot and the system automatically requests the necessary amount of fuel from the aircraft commander. The pilot enters the required amount of fuel. A flexible system means that the data may eventually differ from the preliminary request application. The system then sends an online application to the airline’s bank to reserve the required funds in the account. The driver receives a message from the bank confirming the funds reservation and initiates the refuelling process. After the pilot confirms the refuelling completion, the funds are automatically transferred to the fuel supplier, and all accounting documents are sent to the transaction parties. The data exchange between the transaction parties takes seconds, and the information on refuelling and related financial transactions is stored in the smart contract. Gazpromneft-Aero insists that its smart contract is the first such attempt to use blockchain in Russian and international aviation fuel markets. In the next three to four years the company plans to expand the technology to cover more than 25 per cent of all jet fuel sold. It is also expected that similar smart contracts will be also be used for re-selling contracts when an aircraft of a customer is refuelled at a foreign airport by a Gazpromneft-Aero local partner. In 2018, Gazpromneft-Aero’s total sales grew by nine per cent, up to 3.6 million tonnes of aircraft fuel. The company’s international marketing reach expanded to 260 airports in 66 countries.